A migrant worker hoping to make it back home for the Chinese New Year realized he had been riding his bike the wrong way for over a month, when a police crew stopped him for cycling on the side of an expressway. 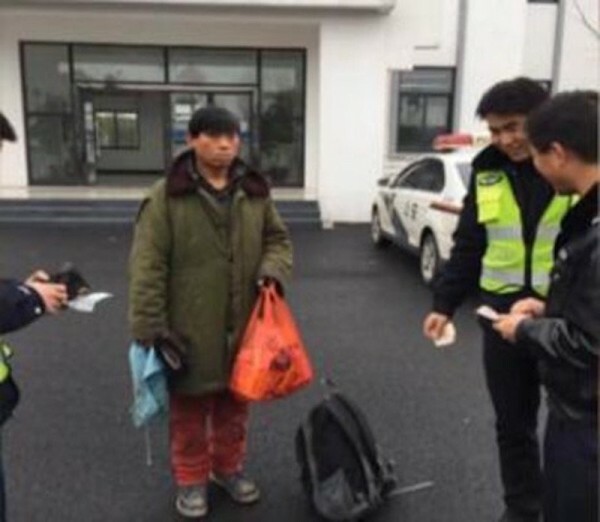 The unnamed man was apparently working in Rizhao, China’s Shandong province, but after spending most of his money in internet cafe, he didn’t have enough to by a train ticket to his native city of Qiqihar, in north-east China. Determined to spend the holidays with his family, the guy decided cycling all the way home was his best option, so he hopped on his bike and started what he thought was a nearly 1,700 kilometer journey. The problem was that he didn’t really know the way, and since he was also unable to read the road signs, he decided to rely on the directions of total strangers. That turned out to be a very bad idea. A month after setting out on his epic bike ride to his home in Qiqihar, our hero was still pedaling away hoping to see his family soon. After cycling for so long, he had to be getting close to his destination. The thing is, he never actually stopped to check. On January 21st he was stopped by traffic police for riding his bike on the side of a busy expressway. 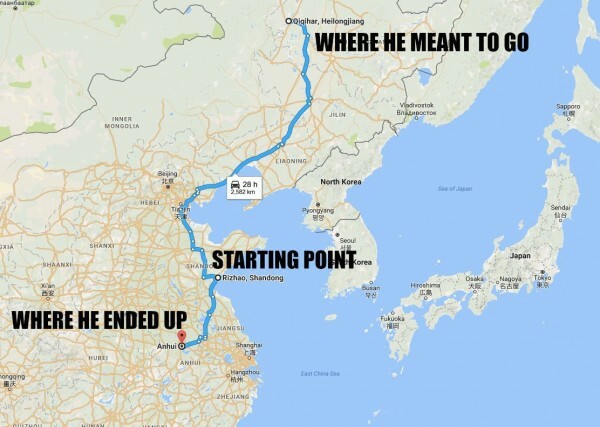 They asked him why he was riding a bike on an expressway and after hearing his story they let him know that he was a lot farther from home than when he starter. It turns out that the man had been going the wrong way from the very beginning. Instead of heading north of Rizhao, he cycled nearly 550 kilometers in the exact opposite way, ending up near the city of Wuhu, in Anhui province. The shocked migrant worker told the police that he was unable to read the road signs, and had relied on the help of friendly passers-by. 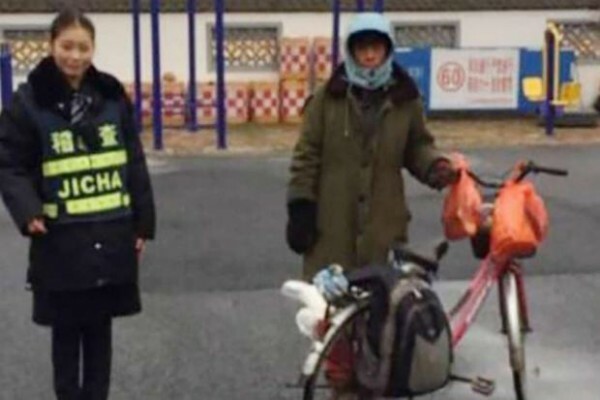 With only a week before the January 28th festivities, the police agents were quite sure that he wouldn’t be able to pedal nearly 2,300 km to Qiqihar on his bicycle. So, after taking a few photos with the guy, they all decided to pitch in and buy him a train ticket home. There’s just one thing that doesn’t add up. How come he was able to spend all his earnings in an internet cafe, but couldn’t read road signs?